When you are running a business you will need to be organised, or at least attempt to be, in order to run it successfully. There are so many parts of the business that you will need to simultaneously take care of so you will need a system to ensure that you are managing all areas effectively. Whether you are focusing on tax or the your employees’ holidays, you need to have your small business in order. Prioritising and organising is key to effectively running a business. Your organisation skills will vary depending on your personal styles, however some general tips can help you get started. Here are some useful organisational pointers to ensure that you are the best that you can be. Prioritising is an essential step to being organised. You will need to decide what tasks require your attention depending on their urgency and importance. You can follow these four categories of prioritisation to help you: important and urgent, important but not urgent, urgent but not important, not urgent and not important. This will help you structure your day, week or month and ensures that all tasks are completed in a timely manner. Lists can be overwhelming, but they can also be a great tool to help you get started on all your tasks. Create a checklist and tick off all the tasks you have completed, it will give you a sense of accomplishment as you tick tasks of your lists. Additionally, creating a list will mean that you won’t forget any important duties that you have to fulfil. You can complete your list by using the priority method, or you can even do the difficult tasks first and work your way through according to the ease of the task. You need to create a work space that will promote productivity and keep you motivated. This will vary for everyone, however decorating an office space in a way that you like will mean that you actually enjoy going to it. You can add motivational quotes, plants or have a lot of natural light, as these are some of the things that can help create a nice environment. Also make sure to invest in a good chair that you will enjoy sitting and working in. All these elements will come together to boost productivity. Make sure that your work space is organised in general and not cluttered as this can cause stress and actually reduce productivity. You need to set goals, whether it’s at the beginning of the year or every month. It’s important to set goals and keep a track of them to track your progress. Set both short term and long term goals and objectives and make sure that you are working towards them. When you are getting organised, its important to have something to work towards so you have a route to go down. Therefore, setting your small business goals is essential, especially to have a sense of direction. Keeping a calendar or a diary is a must for small business owners. From highlighting tax deadlines to staff holidays, a calendar and diary will be your best organisational tools. At the beginning of the year, mark all the important dates that you will need to remember for the year ahead. It will also be beneficial if you use just one calendar for all your important dates. You can choose the best option for you, whether it’s online, on your desktop, or a physical calendar. Having one calendar will avoid any confusion or forgetting about any important dates. No matter how hard you try, the paperwork and filing always seems to build up. So to ensure that you are always organised, create a space for your filing and dedicate time on a regular basis to get through the work. Make sure that this is a regular occurrence because if the paperwork is building up you are less likely to even approach it. Alternatively, delegate to another member of staff to keep your paperwork organised. One of the biggest ways to get organised is to go paperless. Stacks of paper and filing can seem like boring tasks which build up and make your work place unpleasant. So try going paperless, and the paper that you do use, try to reduce the volume of it. The less paper you use, the less space it takes up. Additionally, you can help save the planet and the trees by going paperless and promoting the go green movement. Make sure that your computer is organised, this will ensure that you can find relevant documents/details/pictures when needed. 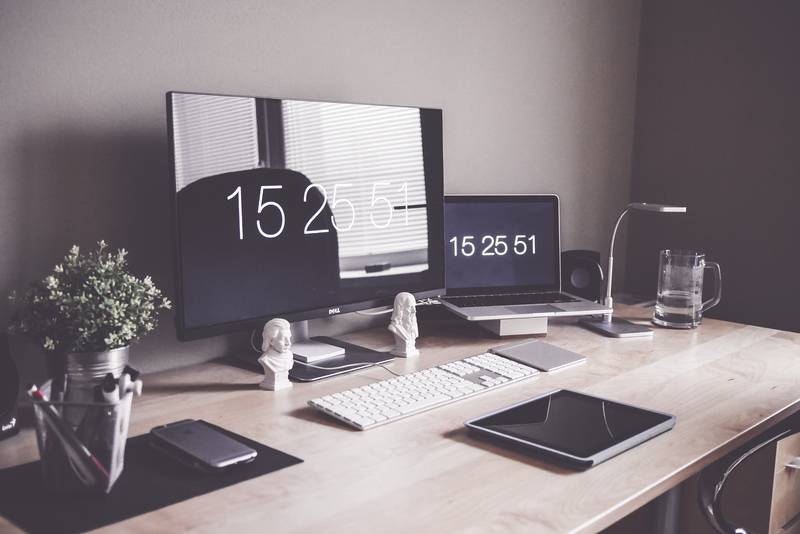 Whether you need to just update your desktop and or need to have a complete organisation makeover, it’s better to do it sooner rather than later. So make it a priority to organise your desktop by creating relevant folders and making everything easily accessible and easy to find. These are some great initial tips to help you get you started on organising your small business. Consider using the organisational tips as a checklist to make sure you and your business are fully organised.